The HT-045 Massage Chair is one of the top pedicure massage chairs in the spa salon industry. The HT-045 robotic massage chair is designed to trace the natural path of your spine and move three-dimensionally in four different modes. This luxurious massage chair imitates the massage techniques used by the professionals and Human Touch Technology is the preferred and recommended technology of the World Federation of Chiropractic. The HT-045 massage chair features power seat controls that let your customers adjust the chair to a perfect setting that maximizes their comfort. In addition, the HT-045 also features rotating armrests that make it easier for customers to get in and out of the massage chair. The HT-045 is equipped an advanced shiatsu massage mechanism that feels like real hands are gently massaging your body. It includes auto and manual massage programs for kneading, rolling and percussion massage. The HT-045 robotic massage chair is designed to trace the natural path of your spine and move three-dimensionally in four different modes. HT-045-PS contains some of the most advanced massage technology on the market in beautiful, sleek form that provides a comfortable retreat from everyday stresses. 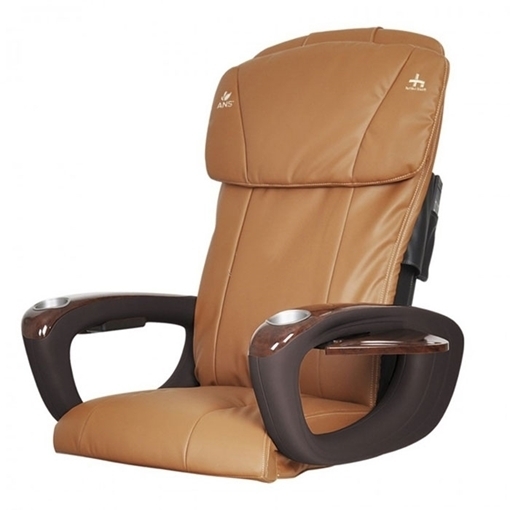 Sit down and soothe your body with this Human Touch HT-045 Massage Chair.